What One-Off Custom Was Better Looking Than The Original? Though they're a bit more rare than they used to be, the world still has custom design houses like Pininfarina and Giugiaro. Every so often they're asked to create custom bodywork on already-existing cars, and every so often the result is absolutely stunning. What one-off custom was better than the original? This week Jim Glickenhaus made an appearance at the Jalopnik Film Festival, and he couldn't be a nicer, more down-to-earth guy. 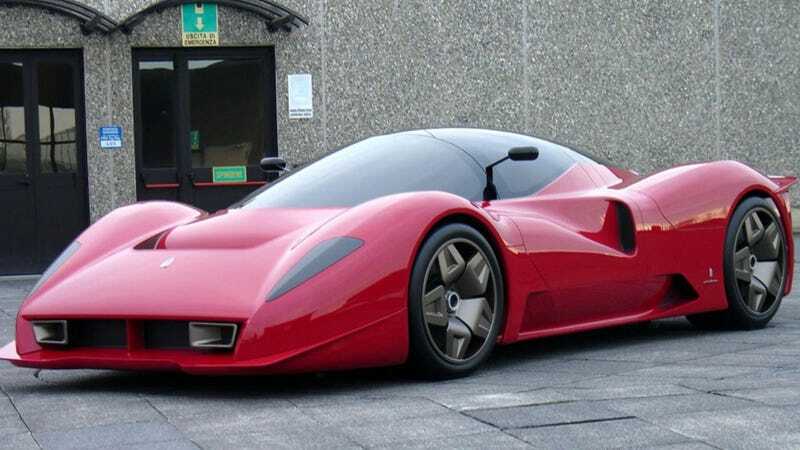 Which is fantastic, considering he commissioned one of the most iconic custom-built coachwork cars of our era, the Ferrari P4/5, based on the Enzo. Though this may be complete heresy in some circles, I was never a big fan of the way the Enzo looks. It's too angular, too sharp, and it looks a bit like someone was just really into polygons. The P4/5 rectifies that situation, with flowing curves and swooping lines, and I think it looks like the Enzo should have when it debuted. But sometimes that happens. A carmaker comes out with one car, and then someone like Zagato comes out with something better. What one-off custom do you think was better than the one that came out of the factory?